Sifu Andre Johnson was 17 when a friend asked him if he’d like to join him in his karate class. Sifu Johnson always had an interest in martial arts, and, like most boys his age, was a big fan of Kung Fu movies of that era. His mother said that if he got a job and saved enough for tuition, he could go. Sifu Johnson wasted no time finding work, and soon earned enough to enroll in martial arts classes. From that first class, martial arts became Sifu Johnson’s passion, and he’s studied Kung Fu ever since. From the time he was young, Sifu Johnson wanted to make a difference and be a force for good. That desire stirred an interest in criminal justice and at age 20 he joined the Rochester New York Police Department. The focus and leadership skills he acquired in his study of martial arts allowed him to rapidly advance in his career, becoming a Field Training Officer and member of the Tactical Warrant Team. 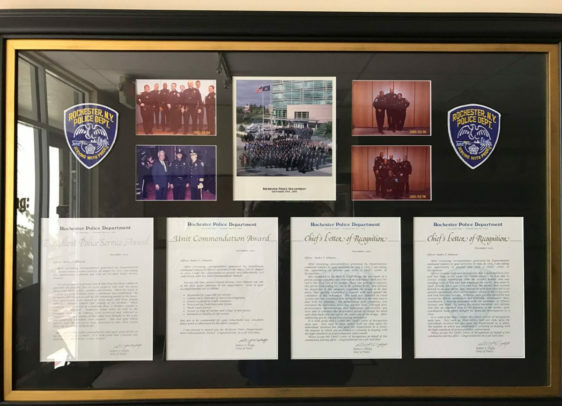 On multiple occasions Sifu Johnson was recognized for his commitment and integrity, earning multiple Chief’s Letters of Recognition, a Unit Commendation Award, and an Excellent Police Service Award. Taking night classes and working the streets by day, he earned a degree in Criminal Justice in 2001. Although Sifu Johnson’s law enforcement career was rewarding, his true passion remained martial arts. He continued to study Seven Star Praying Mantis Kung Fu, a traditional Chinese martial arts developed more than 350 years ago. Sifu Johnson trained under renowned Grandmaster Raymond Fogg, the founder of the U.S. Kung Fu Exchange Federation, eventually attaining 10th Generation Disciple ranking. His study of martial arts allowed him to train in China and travel throughout the United States. 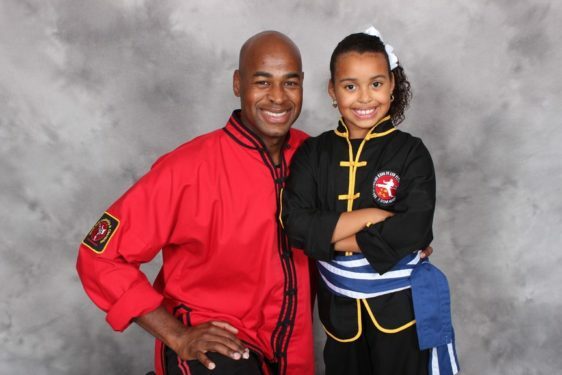 In 2004 Sifu Johnson decided it was time to unite his passion for martial arts with his desire to make a difference. He believed then, and still believes today, that it is easier to make a lasting difference by instilling positive values in a child than to turn around an errant adult. A year later, he opened Quest Martial Arts in Coral Springs, Florida. Sifu Johnson’s personal mission goes beyond martial arts instruction. He believes in nurturing every child’s unique abilities, and teaching them the steps to greatness. His positive attitude is infectious, and he has a natural ability to motivate even the most timid students. 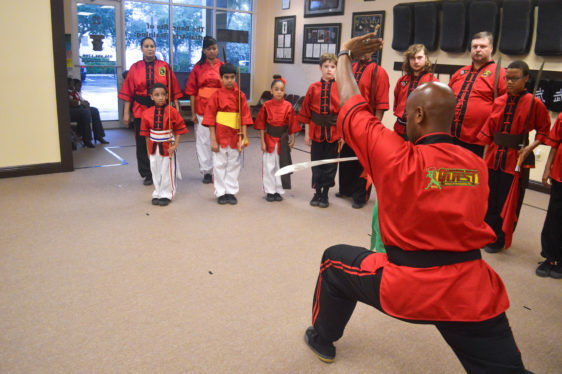 More than a thousand students have gone through his program, and many have gone on to earn black belts. 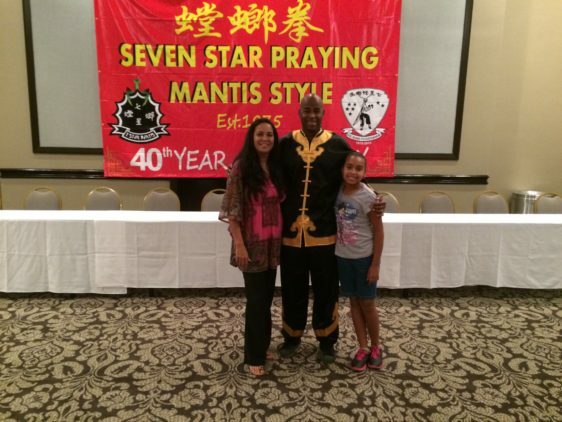 Sifu Johnson continues to study Seven Star Praying Mantis Kung Fu, and is active in promoting the unique style across the U.S. and abroad. He’s helped numerous martial arts schools establish and improve their black belt programs, and trains black belt instructors. He also has trained bodyguards for ASI Executive Protection. Sifu Johnson is married to Cecilia, and between the two of them they have four children. The family is active in their church. They enjoy family time cooking, traveling, and watching sports together.